Local police responded Thursday morning to a two-vehicle crash near Presque Isle High School. 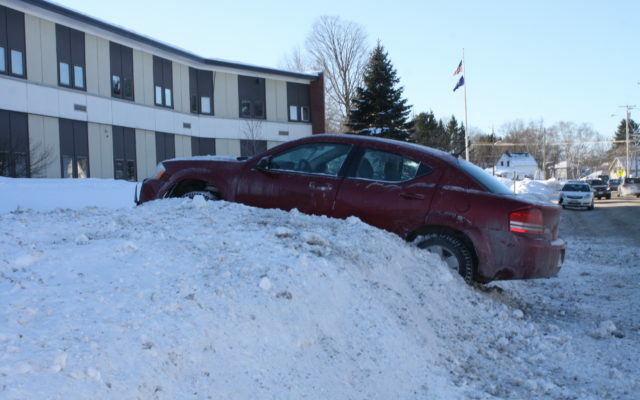 PRESQUE ISLE, Maine — Local police responded Thursday morning to a two-vehicle crash near Presque Isle High School. A driver operating a red Saturn lost control while traveling along Griffin Street around 10 a.m. and struck a white Dodge Avenger that had turned onto the road from Blake Street, according to Officer Chris Hayes of the Presque Isle Police Department. The impact caused minor damage to the front fenders of both vehicles, with the Saturn swerving into a snowbank near the high school. Neither driver suffered injuries in the crash. Their names could not immediately be released due to the ongoing investigation, Hayes said.